In the meanwhile, I’ve been keeping myself occupied playing Pokemon Go, and watching the Olympic games. “Citius, Altius, Fortius”, “Faster, Higher, Stronger”… you humans can really achieve quite incredible feats of skill, agility, power and endurance. Mark has worked out most of the numbers, but still needs a couple more figures before he can finalise the kickstarter costs and “levels”. 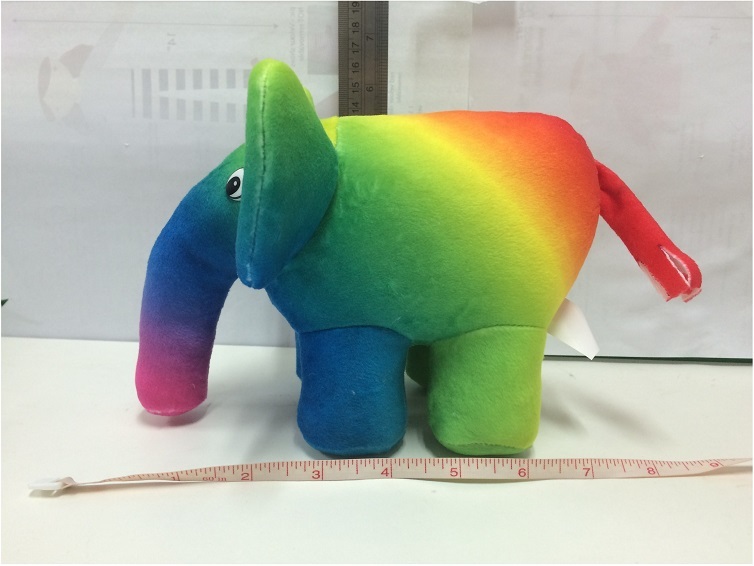 He’s factored in the kickstarter costs and the shipping costs and import tarrifs, and the prices won’t be much higher than other Elephpant kickstarters; there’s even figures for the large size version of me. And especially if I’m oversubscribed, there will be more profit for PHP Diversity scholarships and “OSMI“. So when the kickstarter does open, please let as many people know as possible to help spread the interest, and ensure that I meet my targets. He’s also said that he wants to actually see the prototype me – for real, not just in photographs – before “taking the plunge” and opening the kickstarter. I really want to see me as well; but just as a reminder, here’s another photograph of me. Now, I’m afraid that I must quickly post this and go…. apparently there’s a Charazade somewhere nearby; and then Usain Bolt is running again later tonight, so I need to get the popcorn and peanuts in. Over the 200m distance, I might even have time to eat some before the race ends. Thank you all for reading these ramblings of a Rainbow Elephpant, and I hope that you all have a great day whatever timezone you’re in. This post transferred from a post originally made on the blog site at markbakeruk.net on 18th August 2016.